Garry and Annette were involved in the Anglican Church from 1991 to 2002 and then left to found "OrphanAid" and to fulfill a call to help establish a network of easily reproducible, relational, simple church communities among the poor and needy. Garry and Annette are no longer serving Grace Love Truth but still advise the team and the board from time to time as needed. This also involved mentoring young leaders, this is how Sandile and Garry met at a local Anglican church. Sandile was discipled by Garry Hare from as young teenager and the relationship grew and the two became friends. Annette was born in Rotarua, New Zealand in 1959. Their families emigrated to South Africa in the late 1960s. Annette is a qualified nursing sister. Garry and Annette established and managed their own property development company until 1996 from when they went into full time self supporting ministry using their family trust to provide for their needs. At the moment Garry is on a Sabbatical from GLT. 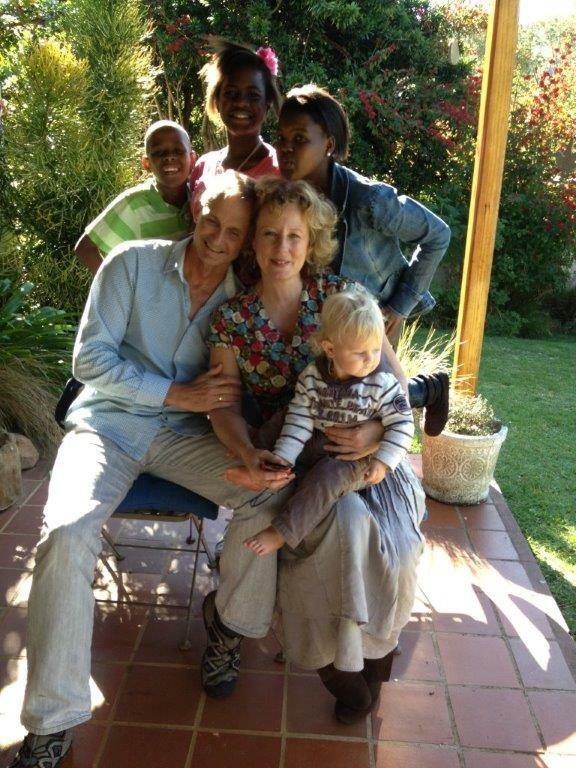 Garry and Annette married in 1981 and now live with their family live in Kloof just outside of Durban in South Africa. They have three children; Ryan (30), Simone (26), Jonathan (19), three foster children; Amanda (15), Dion (13) and Sakina (16) and one grandchild; Ari (3). In 2005 Garry and Annette founded "Springside Place of Refuge and Safety", a safe home for abused women and children. They handed over the leadership of OrphanAid and Springside to a local team of leaders in 2010.